Hi I will be in Negril 3/14- 18 for my birthday. 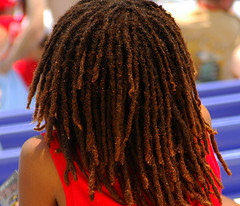 Wanted to have my locs (locks) done or maintained. Do you have any ideas on where to go or who to go to? And the range of $. In an attempt to keep up with all the questions, I have reopened the "Ask And Answer" forum. I will now post this your question, making it live so others can jump in and assist me by answering your question - using the comments link below. I am hoping to get the name of the establishment, address or location as well as contact information. Just keep close OK.